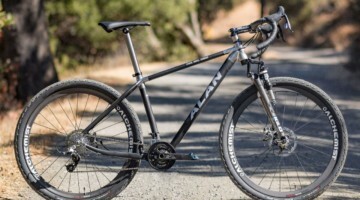 Back in March, we had a first look of the new Alan cyclocross bikes which are being imported into the United States through Velo Sports. At the same time, we gave a brief taste of another brand from the importer: Alchemist, an Italian bicycle manufacturing company specializing in carbon wheels for off-road use. 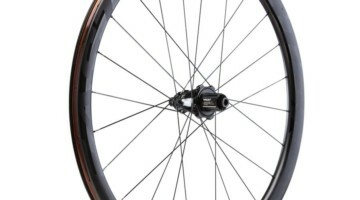 A quick glance at the wheels reveals that the Alchemist CX Zirconium Disc cyclocross wheelset is wholly unique. 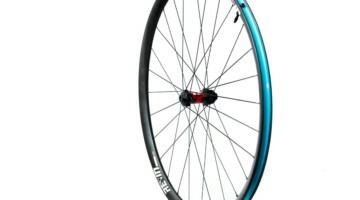 Not only does the company specialize in carbon rims, but it makes disc brake-specific carbon hubs as well. Both front and rear rims are asymmetrical (offset by 2mm), with each coming in at a scant 315g, while the company’s claimed weight tips the scales at 1365g. Our own measurements showed our sets weighing in at 1315g, noticeably less than the claimed weight which is always a pleasant and odd surprise. 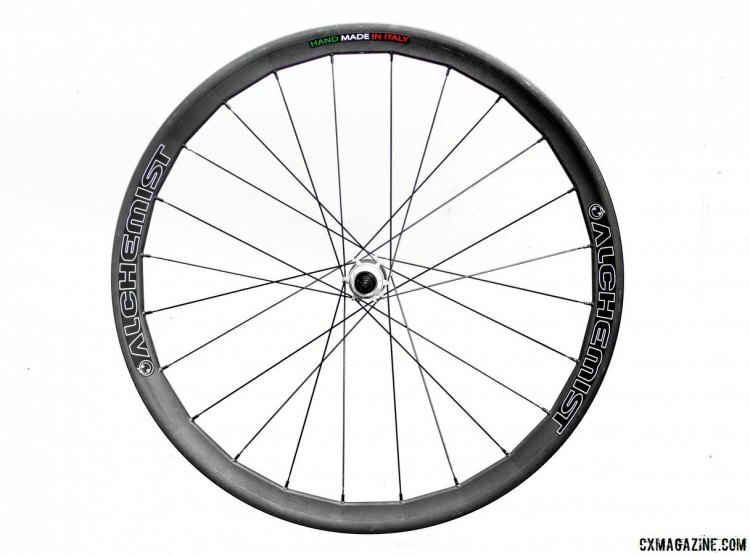 Our recordings make these some of the lowest weight tubeless wheels (carbon or alloy) that we have tested yet. The rim has a 38mm depth, with an internal measurement of 19.5mm and an external measurement of 24mm. The rims are built to the hub with 24 direct-pull Sapim CX Ray spokes, which are becoming a standard in high performance cyclocross wheelsets. 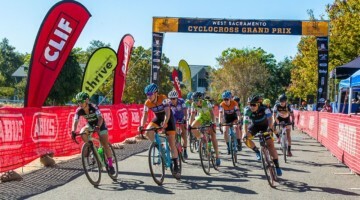 Initial tests reveal that the rims, which rely on NoTubes yellow tape for tubeless use, are similar to NoTubes rims in that they’re an extremely tight fit for tires. That tight fit helps prevent burps in tubeless use, and makes it possible to convert conventional tires to tubeless (including 38c Bontrager CX0, reviewed in Issue 29). 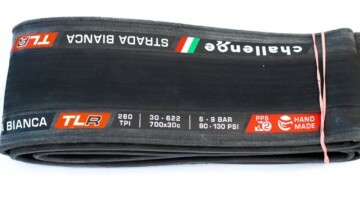 It’s also similar to NoTubes rims in that certain tires, like the WTB TCS series of tubeless tires, won’t even mount without super human feats of strength, but other tubeless tires (including Specialized’s 2Bliss tires) are quite secure. The hubs come with quick release or thru axle options. The front hub adapts to quick releases or thru axles through a tight, press-fit cap and integrated bearing, while the rear hub adapts to thru axle through threaded alloy caps—nothing to fall out and get lost here. The rear hub can also can accept XD drivers. It’s worth noting that our test wheelset came with a 10-speed freehub which barely accepts an 11-speed cassette but places it too close to the frame to be usable. 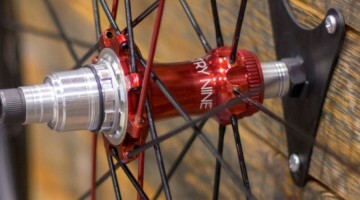 Velosport Imports reports that the hubs are also available with an 11-speed freehub. 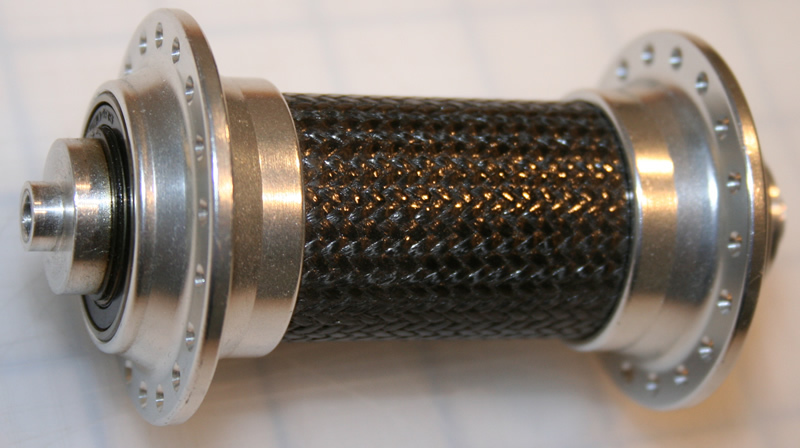 The hub material is a combination of a carbon fiber central frame mated with a Zirconium alloy. The element’s use in metal produces a corrosion-resistant, heat-resistant metal that can be found in nuclear power plants and microwave liners (but not to be confused with the Nuke Proof brand).